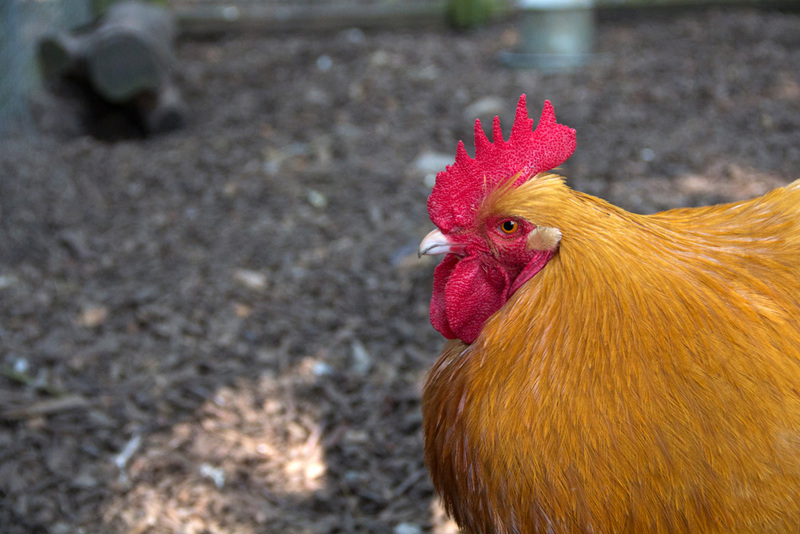 This week we’re shining the spotlight the unmistakable golden chickens of the farm, our Buff Orpingtons. The Buff Orpingtons currently live in the corner chicken pen, next to Clover, the Gloucestershire Old Spots sow and across from our goats. These birds have an impressive size and beautiful golden colour. 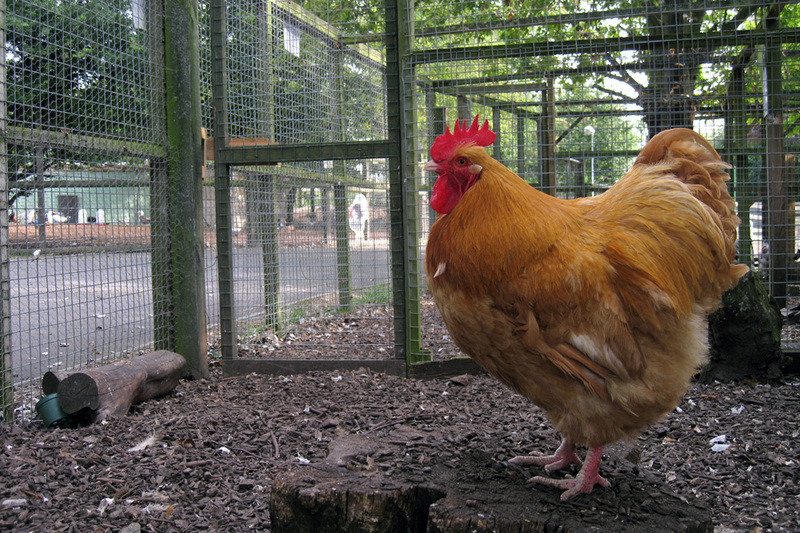 As their name suggests, the breed originates from Orpington, in the London Borough of Bromley. 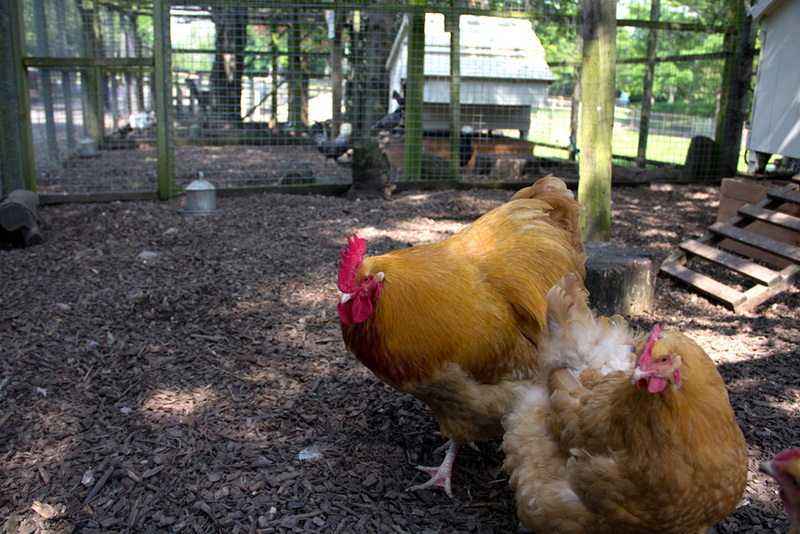 Find out more about the Orpington breed (and why our hens are wearing jackets) on the next page! 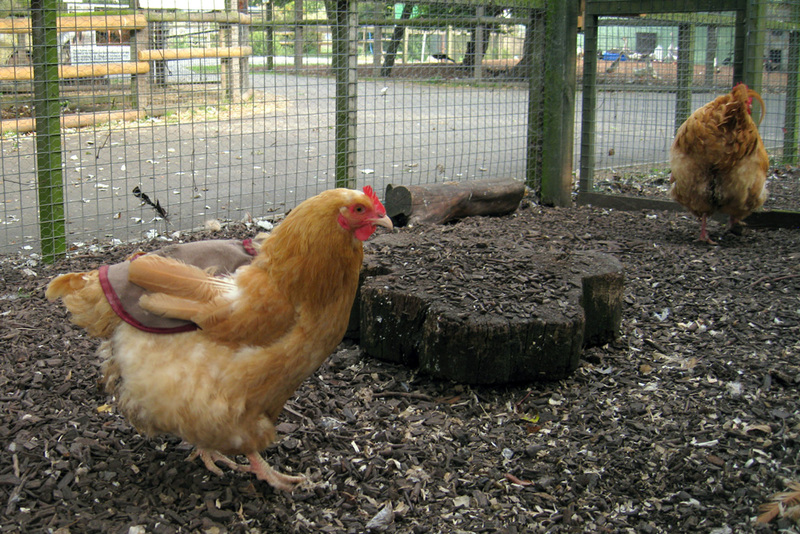 The Orpington breed was developed as a ‘dual purpose bird’, meaning it was selected for producing both eggs and meat. Orpingtons resulted from the careful crossing a number of breeds thought to include Minorcas, Langshand and Plymouth rocks and first appeared in 1886. However, these first Orpingtons looked rather different from our birds. Unlike our golden, or buff coloured chickens, the original Orpingtons were black (supposedly to hide the dirt and soot of London!). Today, Orpingtons come in a wide range of colours and markings including blue, black, white, chocolate, spangled and of course, buff! Like their predecessors, these birds are fairly sizable chickens (with cockerels weighing up to 6.35kg!) and Orpington hens are excellent layers, producing 175-200 eggs per year. Buff orpingtons are known for their excellent temperament and true to their breed, you’ll find our birds to be calm, gentle and very friendly. However, at this time of the year, our cockerel can be a little too amorous, and will occasionally damage the feathers of the hens in his enthusiasm. This is why you might notice the hens are currently wearing jackets (typically reserved for turkeys). These are to protect the feathers on their backs from his overzealous attentions! Fascinated by Orpingtons? You can find out even more about the breed from The Orpington Club.